Hop aboard the brand new Hopper Express! This high-quality electric train is sure to wow your guests. Cost is $200 per hour w/ a 2-hour minimum. If you want the train for 2 hours but other items longer, please book them separately or call our office to make adjustments on the order. 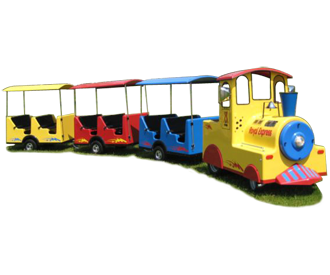 New Train Special: If you rent this for a 2-hour birthday party in 77581, 77546, or 77089, you may choose any 13x13 bounce house for FREE! Call our office at 281-455-6372 to receive this deal. Offer expires 5/31/18 and does not apply to rentals past 6/30/18.